Comments: Edwin Fick (Nee: ) | | 1901-1920 | Comments: I found this at a garage sale in Mesa, Arizona. It is a wedding picture. 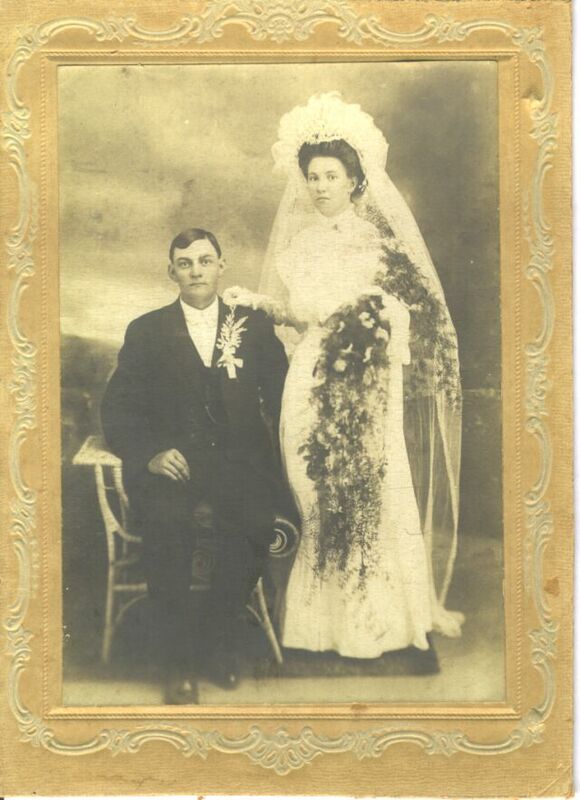 The names are written on the back: Edwin & Augusta Fick.